A new line of foot load cells that can add accurate weighing capability to bins, conveyors, hoppers, tanks, and virtually any other platform has been introduced by Alliance Scale, Inc. of Canton, MA. 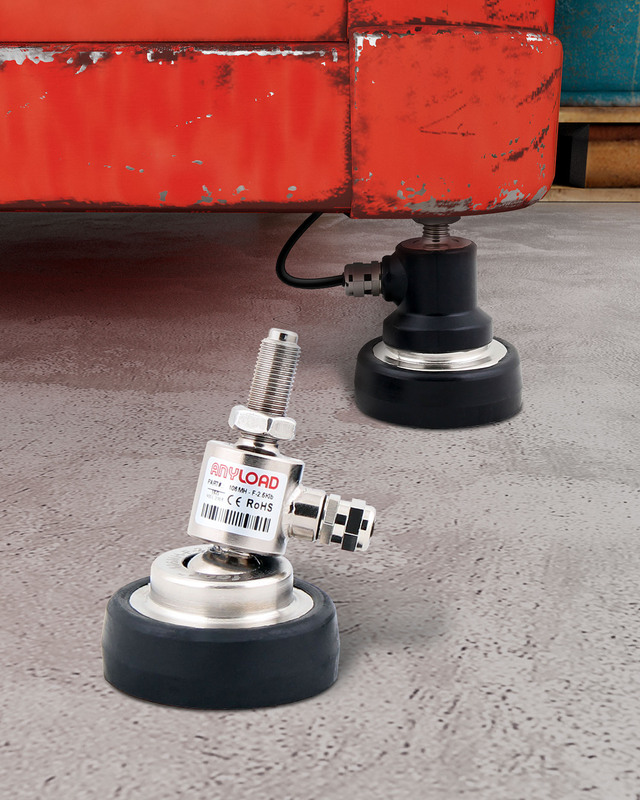 Alliance Anyload® FatFoot Load Cells are compact machine feet that can be attached to virtually any platform to add weighing capability without the need for bulky weigh modules. Featuring a transducer which has a natural perfect linearity and a swivel foot with thread-in installation, they come in various capacities and have rubber boots that enclose the bearing area to help prevent foreign particles from affecting their long term accuracy. Suitable for indoor and outdoor applications, Alliance Anyload® FatFoot Load Cells are made from alloy steel with 1,000 to 2,500 lb. capacities and 150% safe overload. Full scale output is 2.0 mV/V ±0.25%, zero balance is ±0.02 mV/V, and the non-linearity and hysteresis error is < ±0.050%. IP67 rated, CE and RoHS certified, the recommended excitation is 10 V.
Alliance Anyload® FatFoot Load Cells are priced from $185.00, depending upon capacity. Stainless steel construction is also offered.